L0074949 Hystero-Epilepsie: Hallucinations. Angoisse. Planche XXIX. Hystero-Epilepsie: Hallucinations. Angoisse. Planche XXIX. 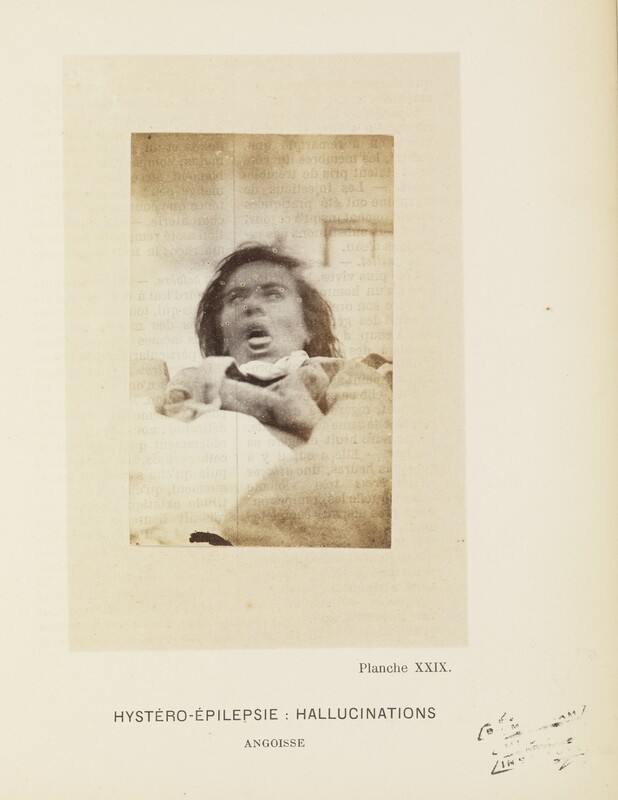 Iconographie photographique de la Salpetriere : service de M. Charcot / par Bourneville et P. Regnard. Volume 1. The text is by Bourneville and the photographs are by P. Regnard. The plates in are mounted photographs (albumen prints) with letterpress captions. All content © B. T. Newberg. All rights reserved.